According to Maslow’s theory of needs, after fulfillment of physiological and security requirements, one seeks belonging and social esteem. This need for social appreciation drives businesses of billions like luxury cars, branded clothes, premium watches and even business class tickets in an airplane. But there is one more thing which we take as a status symbol in the corporate world, and that is having a personal assistant (PA). A full-time designated person whose sole job is to help you in managing your professional and personal life. These assistants help you in booking your appointments, keep a record of your time and reminding you about your schedule. But now you don’t have to work for 20-25 years in your job bagging promotion after promotion, or need to be too rich, for at least having an assistant. Technology has made it a lot easier. Voice assistants like Google assistant, Amazon’s Alexa, Apple’s Siri, and Microsoft’s Cortana all can serve you as reliable assistants at the expense of some bucks. Like me, if you all are also curious if they can be as intelligent as humans in the future and replace breathing assistants, then be ready for a surprise. 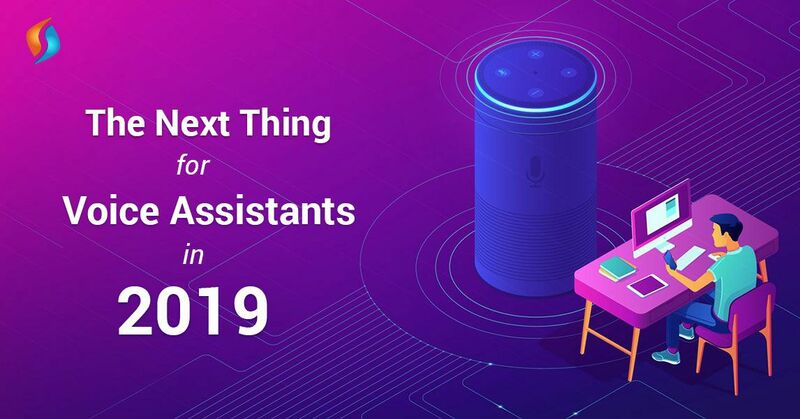 Because this article will show you how 2019 will be changed by these voice chatbots which are designed by cutting-edge AI development companies. Google Assistant Connect, a platform for developers that will help them in the creation of peripherals that will pair with an assistant. Moreover, Google showed proof of concepts from various manufacturers at CES 2019. 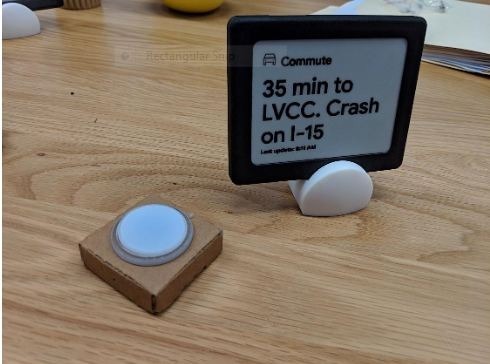 For example, traffic reports generated by Google assistant on an eInk display. Apart from this, Google assistant will soon be able to make calls on your behalf. Like to book an appointment for a haircut or book a table in your favorite restaurant. You can see a demo of that in this video. Along with that, Google assistant soon will help you in your traveling. It will help by checking you in the flights through voice and do real-time language translations in the unfamiliar territories. This is one of the most popular and intelligent voice assistants. Amazon consistently tries to innovate with Alexa, and it has pretty new features to look for in 2019. Alexa Guard is one of the most fascinating and still rare features available on Amazon Echo. This AI guard will be alert in listening to the threatening sounds like breaking glass or smoke alarms when you are not at home. It can also prevent potential break-ins in your house by switching off and on your home lights in a natural pattern so that it gives a perception of someone being at home. Along with this, Alexa will also have new features such as email integration. And in association with Amazon music, it will give you latest updates on your favorite artist’s songs and albums. Alexa will also remind you of the tasks on a location basis. Like if you ask her “Alexa, remind me to check the mailbox when I come home,” then Alexa will track your site and will remind you about the mailbox next time when you are home. Siri, one of the poor performing kids in the class of voice assistants, is now ready for a makeover. Apple last year came up with Siri shortcuts. This feature will soon be going to help Apple users in maintaining their health. Apps like QardioArm, which helps in measuring blood pressure and HomeCourt, a smart dribbling app are added in the list by Apple to work with Siri shortcuts. Also, iPhone app development relating to habits and virtual sports are integrated to encourage users to keep a check on their health. It is evident that people prefer to talk as compared to write for communication. And therefore, future “How may I help you?” chat window in the right corner of the screen will be replaced by the icons of microphones. Chatbot development services and companies have to understand that voice assistant are the future of customer service. And the rate at which the progress of these voice assistants is increasing is steadily fast. They have the potential to be the human’s most trustworthy and reliable help. Not just in the office, at home as well as on a trip. As far as I can imagine, we will be able to use these assistants for detecting lies, recording verbal contracts, checking fake news, correcting racist/abusive/offensive remarks made in the room, reporting office harassments, preventing domestic violence and saving lives in critical situations in the future. And who knows, maybe humans find their best friends in voice assistants in the future.